The delicate balancing act between making use of and conserving nature is a difficult task for those who run national parks. Do not touch? Do not enter? A raised forefinger? 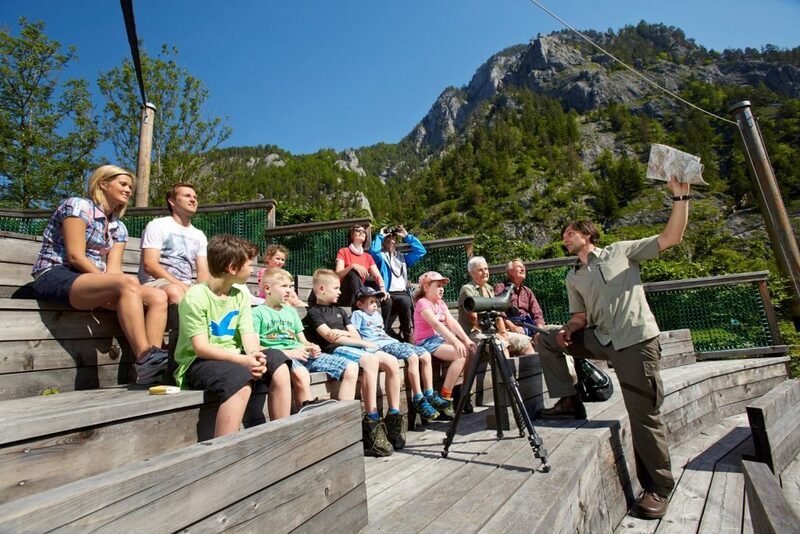 Things are different in the Gesäuse National Park! A green light for visitors! The motto here is invite and attract. 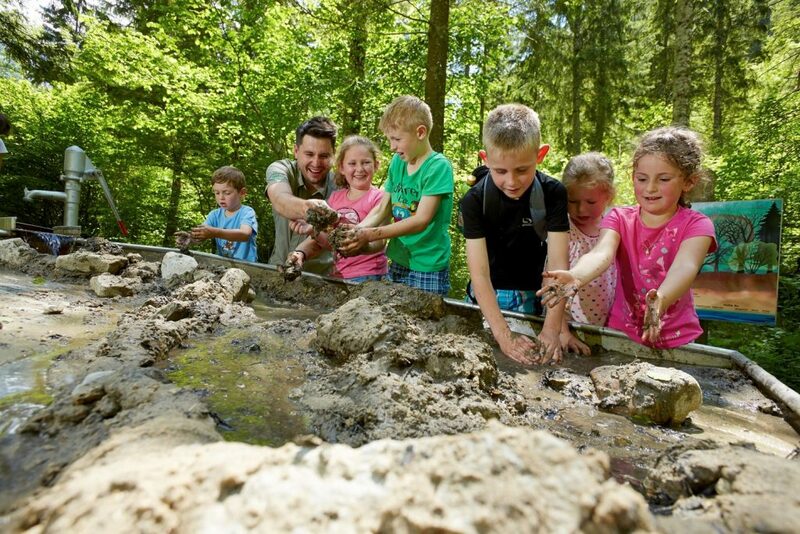 The fascinating, elaborately staged themed trails will enchant even those who don’t normally care for the outdoors. They suggest that the rangers themselves like to have fun and have a strong playful streak. The highlight lies halfway along the River Enns Cycle Trail, next to a large car park: the Weidendom (Willow Dome). The huge dome and round arches make it the largest living construction in the Alps. 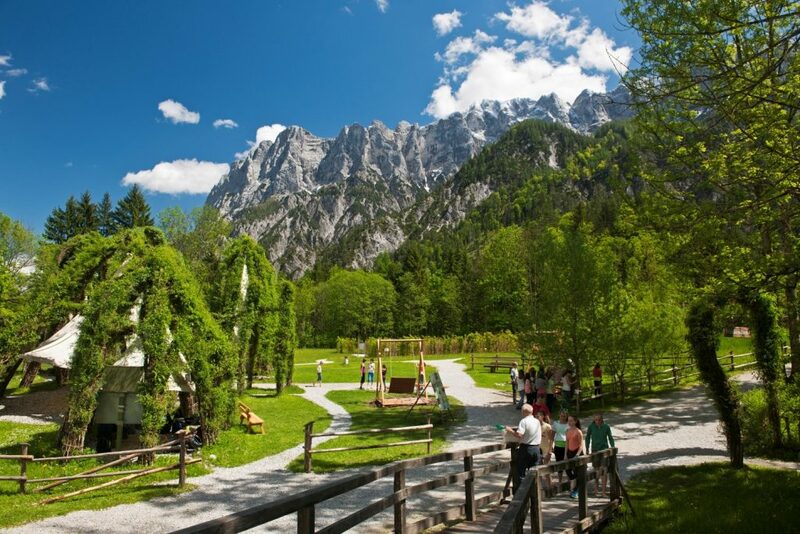 It forms the heart of the Weidendom Adventure Centre in the National Park and leads visitors through a green adventure. In the research workshop, children can observe the smallest creatures in the water and on the forest floor using high-quality microscopes. The open-air cinema offers exciting nature films and 3D-presentations. And those who want to laze about intelligently after an eventful hike along the Enns can take advantage of one of the quiet islands or relax in the family swing at the Willow Dome.